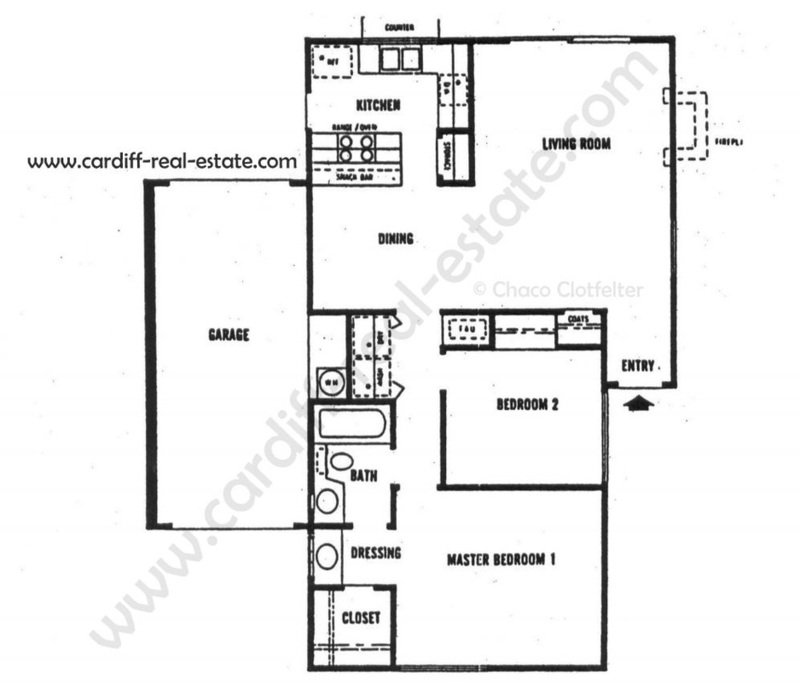 Cardiff By The Sea real estate for sale in Park Place must be understood as having two distinct types of homes. The Park Place condos are clustered in the northeast corner of the complex while the Park Place twin homes extend in each direction and all the way to the subdivision of Poinsettia Heights to the south. 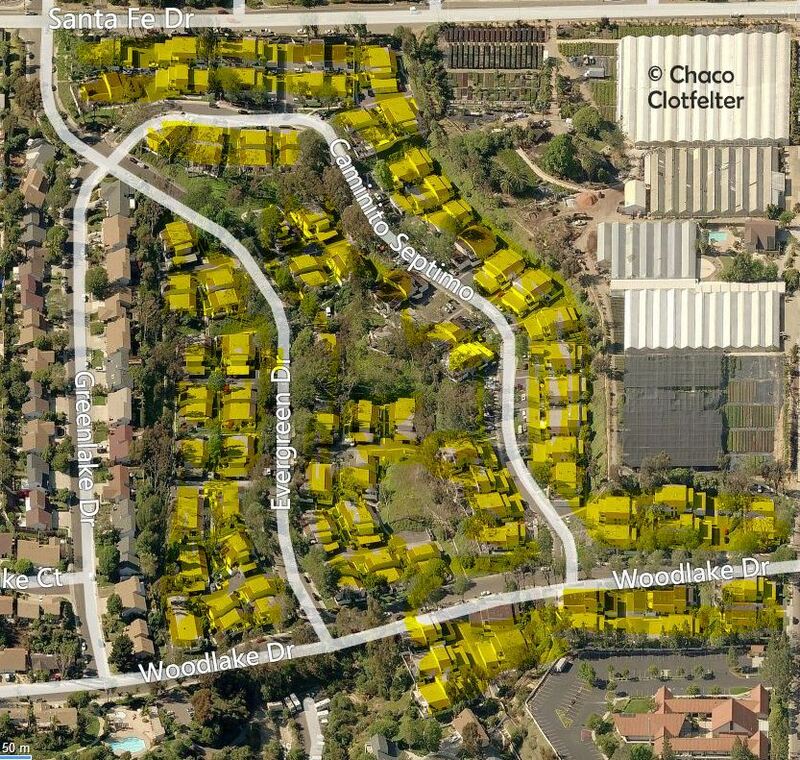 Broker Chaco has created two aerials for you with each property type highlighted so that you can understand the difference between 'apples and oranges' when you try to evaluate Cardiff By The Sea real estate for sale in Park Place. FYI, 2015 sales are between $427k to $562k. Want to see ALL of the Park Place condos sale for the past four years? Please scroll to the bottom of this page! 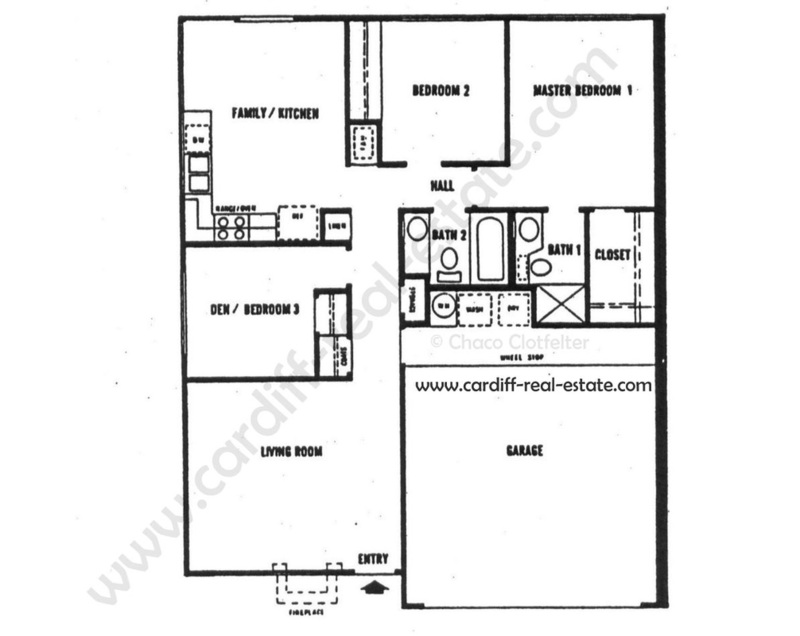 Park Place condos buyers - do you want floor plans? I have them here. Serving window outside kitchen sink with perfect views of patio. Park Place plan 2 offers the opportunity to create great flow to the living room by removing ceiling hung kitchen cabinets for easy views of the living room and fireplace. The kitchen sink has a serving counter and perfect view of the patio. Park Place plan 3 is the largest floor plan (3 bedrooms) but has the least desirable kitchen-to-living room flow. If you and your partner are looking to get away from one another a little bit, this could be the perfect separation of space.